Fine material poker is waterproof and colorfast, and you can have great fun by playing it. Funny table games playing cards. 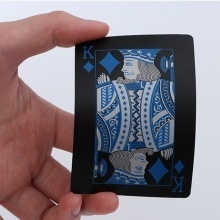 Funny playing cards that you can play it and have a good time with your firends or families in the free time.